Matt water-based alkyd resin enamel in emulsion that combines ease of application with properties of excellent distension, quick drying, and good elasticity, as well as excellent blocking resistance. 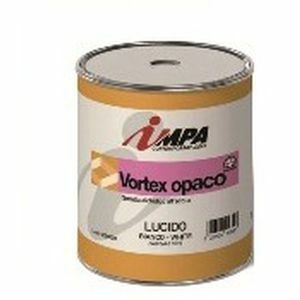 It is suitable for interior or exterior use on both wood and iron, upon accurate selection of the primer. protective paint / anti-corrosion / for ironwork / for metal 1236 FERTENE G.F.
anti-corrosion paint / for ironwork / for metal / interior 1277 FERTENE G.G.